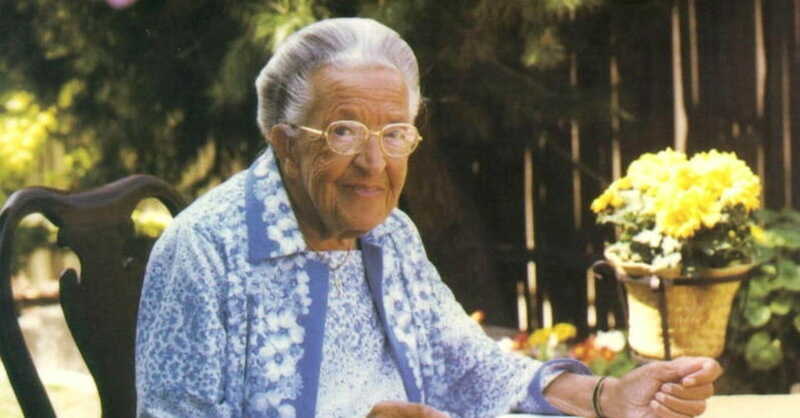 Corrie ten Boom was one of the most godly, soul-rich individuals in Christian history. The ten Boom family were Dutch Christians who helped many Jews escape the Nazi Holocaust of WWII. When their home was raided after an informant tipped off the Nazis of their activities, the entire family was imprisoned. Corrie and her sister were sent to a notorious Nazi concentration camp. She was miraculously released from prison just days after her sister had died there. God brought incredible beauty and healing through her difficult experiences, and her words still have great relevance and impact in our world today. 1. Christ is all you need. 2. Love is the strongest force in the world. 3. Memories are the key to the future. 4. God knows our needs. 7. The devil cannot make us bad. 9. Your Father will carry it. 11. God takes our sins. 13. Forgiveness is an act of the will. 14. Happiness does not depend on our surroundings. 15. Is prayer your steering wheel? 17. Prayer is necessary for the soul. 18. The very best is yet to be. 19. Look at Christ and be at rest. 20. God's ability is what counts. This slideshow was adapated from the article 40 Powerful Quotes from Corrie ten Boom written by Debbie McDaniel.